I can’t think of any other title than “Sparkle Poison” that can describe the music on this album more accurately. The mysterious duo of Sparkle Poison mix childish, playful and naïve charm with piercing, insane and bestial nervous breakdowns in their music, and together in a small potion of an album, they create a beautiful, painful havoc. 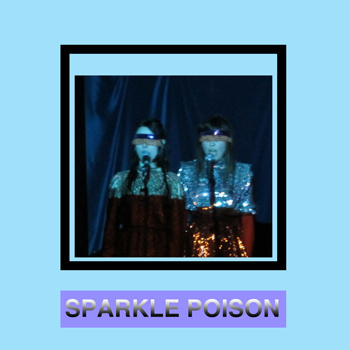 Melding together insane bits from live shows and electronic interludes, Sparkle Poison go through everything that’s glittery and fabulous in the darkest depths of musical insanity. The result might not be coherent one hundred percent of the time, but it is intense, challenging and, hell, very enjoyable!